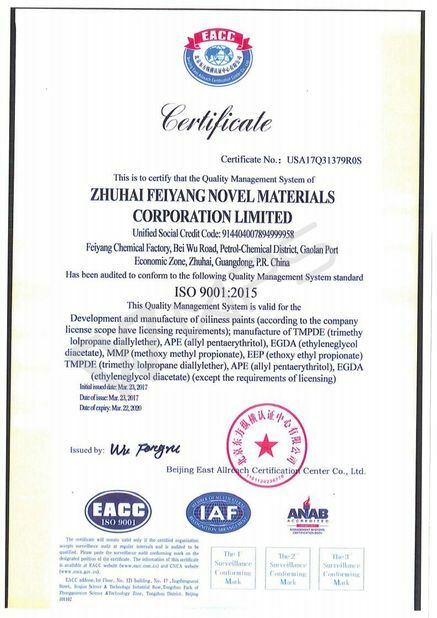 Shenzhen Feiyang Protech Corp., Ltd.
We approved polyaspartic polyurea resin quality from Feiyang Novel Materials, excellent service, and on time delivery, offer full confidence to us. WANNATER HT-100 is a solvent free aliphatic polyisocyanate based on hexamethylene diisocyanate (HDI), colorless to slightly yellowish clear liquid. WANNATER HT-100 can be used as the hardener component for lightfast two-component polyurethane coatings with high resistance to chemicals and weathering, very good gloss retention and outstanding mechanical properties. Preferred co-reactants are polyacrylates or polyester polyols. The main applications for coatings based on WANNATER HT-100 are automotive OEM, automotive refinishing, transportation, industrial finishing and plastics. Storage in original container. Protect from moisture, heat and foreign material. WANNATER HT-100 is sensitive to moisture. Storage at higher temperatures will result in increasing of color and viscosity. Recommended storage temperature is -20 ~ 40 C.
WANNATER HT-100 can be thinned with esters, ketones and aromatic hydrocarbons such as ethyl acetate, butyl acetate, methoxypropylacetate, acetone, methyl ethyl ketone, methyl isobutyl ketone, cyclohexanone, toluene, xylene, solvent naphtha 100 and mixtures thereof. Generally speaking, it has good compatibility with the solvents listed. However, the solutions formed must be tested for their storage stability. Only PU grade solvents should be used (max.0.05% water, absence of reactive groups such as hydroxyl or amino groups). Aliphatic hydrocarbons are unsuitable as solvents. WANNATER HT-100 is not recommended to thin to a lower solid content. Prolonged storage of a solution with a lower content may result in turbidity and sedimentation, even condensation. WANNATER HT-100 can be mixed with the following products: aliphatic polyisocyanates, polyester polyols, aromatic polyisocyanates and polyacrylates. It can be stored at least for 9 months at room temperature if stored properly. May cause sensitization by skin contact. Contains isocyanates. See information supplied by the manufacturer. The product is used mainly as a hardener in coating materials or adhesives. The handling of coating materials or adhesives containing reactive polyisocyanates and residual monomeric HDI requires appropriate protective measures referred to in the safety data sheet. These products may therefore be used only in industrial or trade applications. They are not suitable for use in homeworker (DIY) applications. The safety data sheet should be observed. 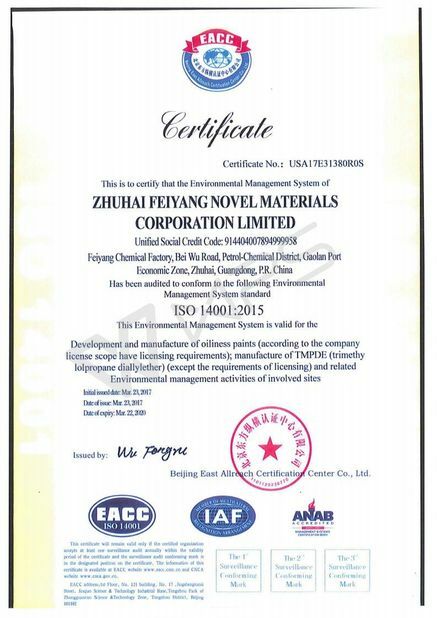 This contains information on labeling, transport and storage as well as on handing, product safety and ecology.